1998 Ferrari 550 Maranello! Nero (Black) with Beige Leather Interior! Only 29,977 miles! 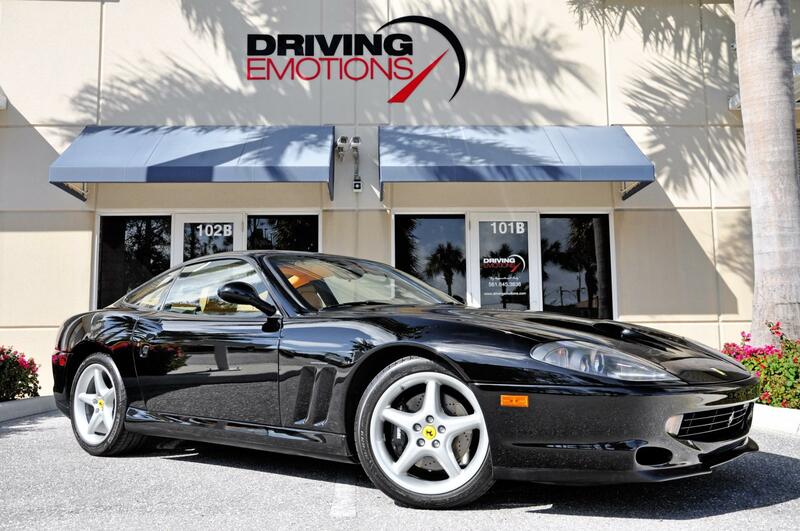 This rare Ferrari 550 is equipped with Black Ferrari Brake Calipers, Factory Ferrari 550 Wheels, 6-Speed Manual Transmission, Power Seats, Power Windows, Automatic Climate Control, Leather Dashboard, Leather Doors, and Upgraded Pioneer Stereo Head Unit, Plus More! Additional Photos available on our website at . Please feel free to contact our showroom at 866-994-6138 with any questions. Driving Emotions.